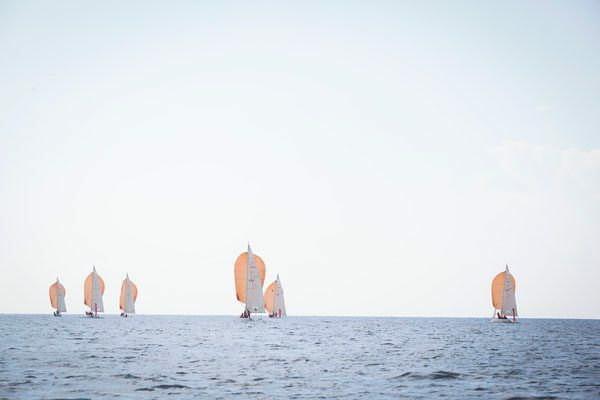 As the summer draws closer and the memory of salt, sunscreen, sails and BBQ’s come back into the fore of our daydreams we decide to look back on a regatta that celebrated the skill and hard work of the people that are the beating heart of The Yacht Week - Skippers. 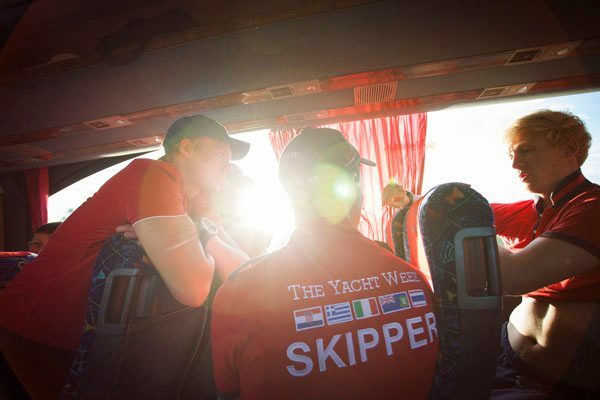 After a long season on the water across Croatia, Greece and Italy the The Yacht Week in conjunction with Skipper Academy decided to assemble the best in the business for a long weekend in Alicante, Spain. 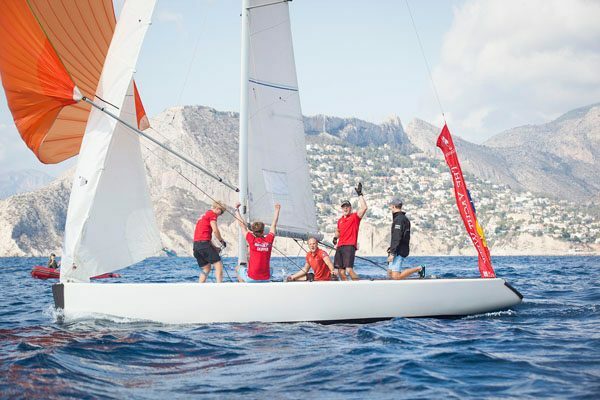 With skippers from over twelve different countries flying in to the home of the Volvo Ocean Race, the second annual Skipper Regatta was set to be as fun as it was competitive. 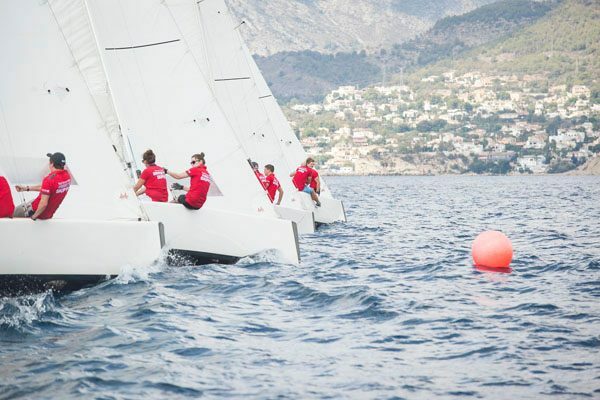 Seven teams entered into the regatta with Team Management considered the hot favorites and plans already under way by the other international teams to undermine them. Regatta day was perfect for racing with blue skies, warm water and 10-15 knots of wind. The hour long bus ride to the race area saw last minute team tactics being vigorously debated as teams tried to get the slightest advantages consolidated. With the 35 skippers keen to show off their skills and claim dominance, the race start was delayed as teams kept clear and tried to get in last minute practice. Five, four, three, two, one... and all six teams where across the line perfectly. With the upwind leg first, teams pulled, hiked, trimmed, screamed and pushed these TOM 28 Max boats to their limits. It was all about making the first marker in the lead. With each race consisting of two laps of the course and taking roughly 25 minutes overall, consistency and fitness were going to be the deciding factors. It soon became clear who was in the running to take out the overall line honors with team Sweden working like a well oiled inlagd sill, team Spain using their local knowledge to their advantage and team Nordic (with a Slovenian import for a skipper) also proving they belonged at the front of the fleet. It was a grueling six races but in the end there could only be one winner, team Sweden. It was an experienced outfit with skipper Leo Alsved, winner of the first Skipper Regatta a year prior, that got the job done. A disappointing result from team GB with a first time helmsman hindering their chances and Team Management as there was high expectations leading into the event. 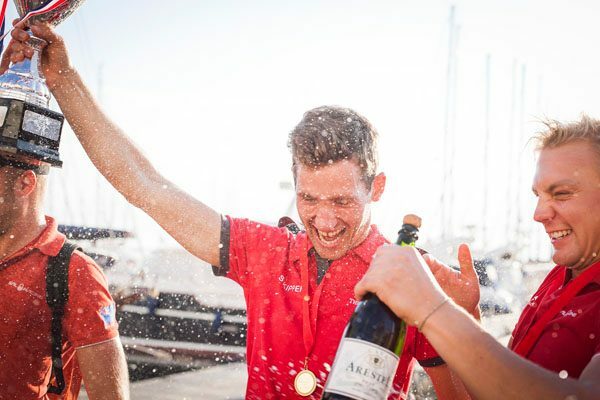 The post regatta celebration was ended with the traditional medal and regatta cup presentation followed by a champagne shower for first place. The podium finishers were presented with special edition Sperry Top-Sider shoes that will be a constant reminder to others until next year about who was the best on the day. As the sun set, bow ties and crisp white shirts were donned in true skipper tradition for the evening gala dinner. 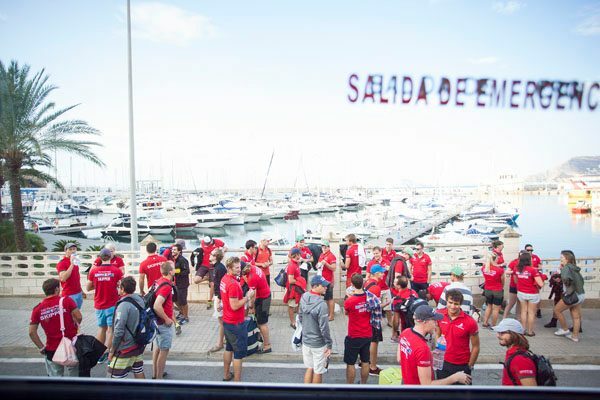 Our Spanish hosts had the whole team dining in one of Alicante’s oldest and most elegant establishments overlooking the harbour and the Volvo Ocean Race village. After a full five-course meal we again congratulated the winners and looked back at what had been a fantastic day racing. 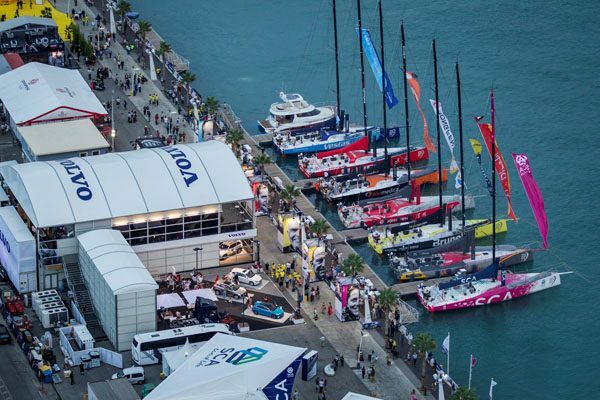 As the team descended on the race village for a night out many of the Volvo teams were seen walking around making their final adjustments before the first in port race the following day. They had an aura about them that is hard to explain but instilled instant excitement and respect about what these sailors where about to embark on. 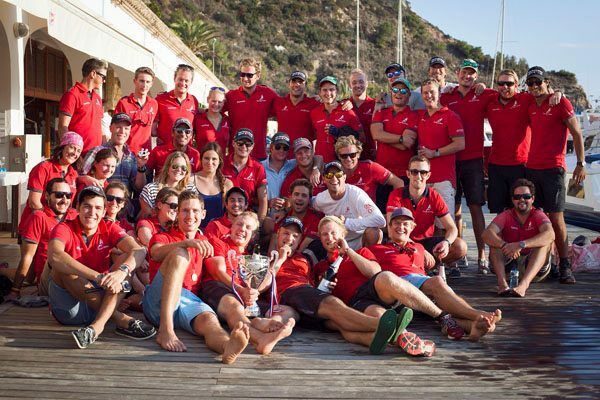 Many of the skippers had the opportunity to meet some of their hero’s within the sport. Nicolai from team Vestas Wind had heard about The Yacht Week and said that once he finished this years Volvo Race he would love to come and join us for a summer (the offer still stands Nicolai, just remember to check the charts). He liked the comradery of the The Yacht Week outfit and compared it to his team on the Volvo. 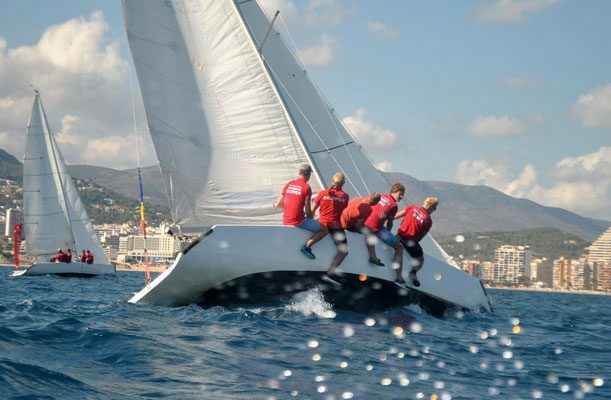 As we look towards the 2015 summer season in the Mediterranean it is great to see the level of professionalism, excitement, competitiveness and friendship displayed during this regatta that will ensure another successful season on the water. 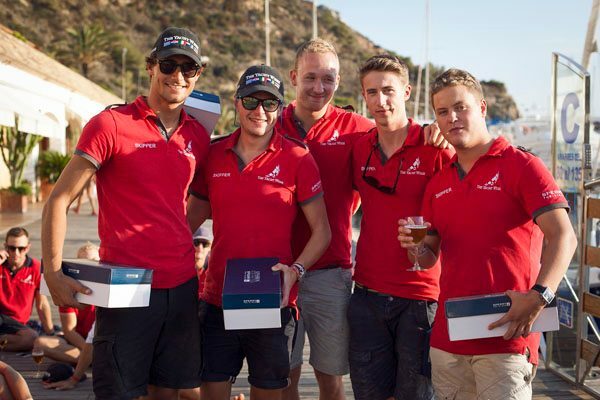 Skipper Academy and The Yacht Week are always looking to bring on more like minded, hard working and driven skippers to work with us all over the world and also help beat Team Sweden at next year's regatta. If your interested check it out the trailer and visit the website at skipperacademy.com.